Then I realized that I don't really have a recipe for beets. I just eat them. I searched and searched online and wasn't really finding anything except a lot of people that hate beets. 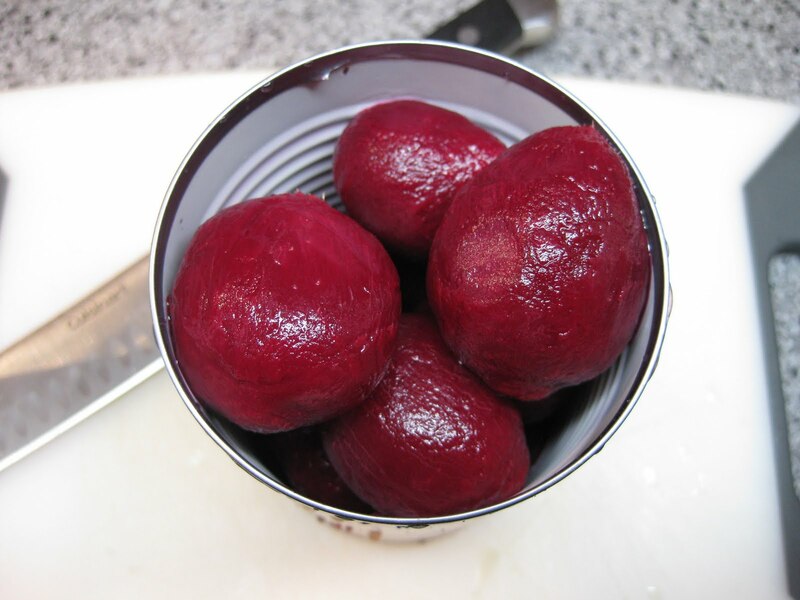 I came to the conclusion that beets, for whatever reason, are kind of an outdated food of yesteryear. Something that used to be eaten a lot more often than they are now. It has a section for each vegetable and tells a little about how to select, prepare, cook, and serve them. Then a few pages follow with recipes devoted to that veggie. I made my selection and went to town! In a small saucepan combine sour cream, milk, onion, vinegar, sugar, salt, and cayenne if using. Heat through over low heat, but do not boil. Stir until incorporated and let cook a few minutes until the beets are warmed through. 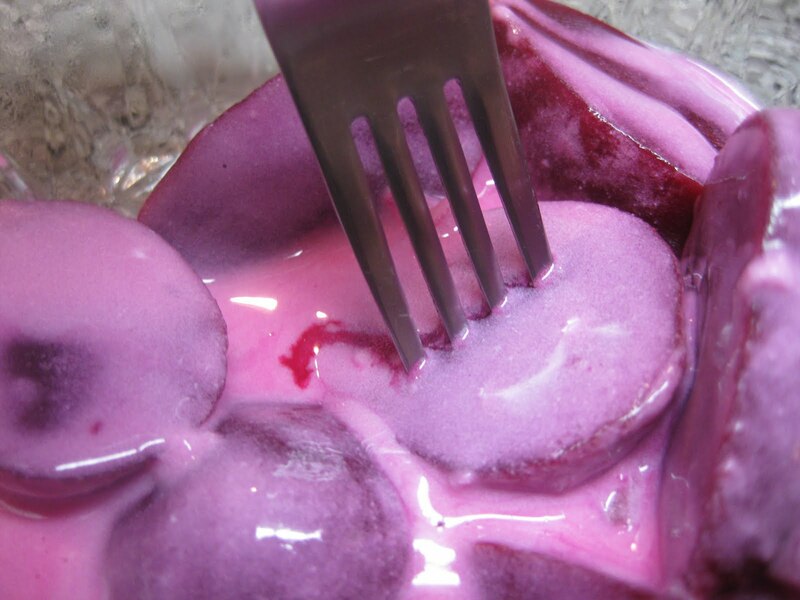 It was also cool with each forkful you took, the beet would "bleed" its true red more. Overall I think this was a nice side dish to dinner. You could still very clearly taste the earthy beets, and the sauce acted like a dressing. It was a tad tangy and creamy which was a nice compliment to the beets. I'll still love them plain, but it's cool to have another way to eat them in the future! Has a lovely modern twist to it really. Ha - I had to laugh at J's comment - there really is no way to make beets look pretty! Wow, that looks good. And I love that you dug up an old cookbook. I've tried pickled beets and eggs before. They were ok. I love beets, too! Even if they are coated in Pepto Bismol :) We don't have them too often, because Peter hates beets (why oh why?? ), so I'll have to save this recipe for when he's not around - tee hee! Oh, and I love old stuff at garage sales - luckily I don't go to too many or else I'd be swamped with stuff! It sounds like the mixed flavors and textures of the beets vs sauce was a really nice compliment. Tasty!